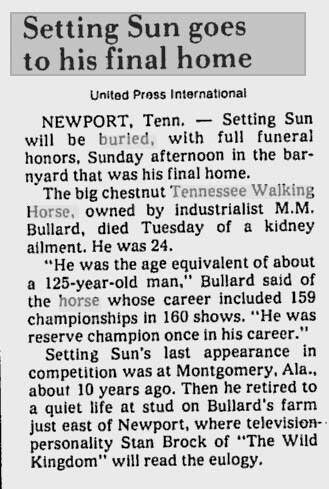 I thought I had just located the last living stud directly out of Sun's Delight D. Unfortunately at 30+ years of age, he had just passed away. I know where there is a 2 year old stud out of him out of an old foundation bloodline mare (Midnight Mack K). He moves good and is made just like Sun's Delight D. I am wanting to breed to him. What kind of mare would cross good to him? (joking) A Merry Go Boy Mare! 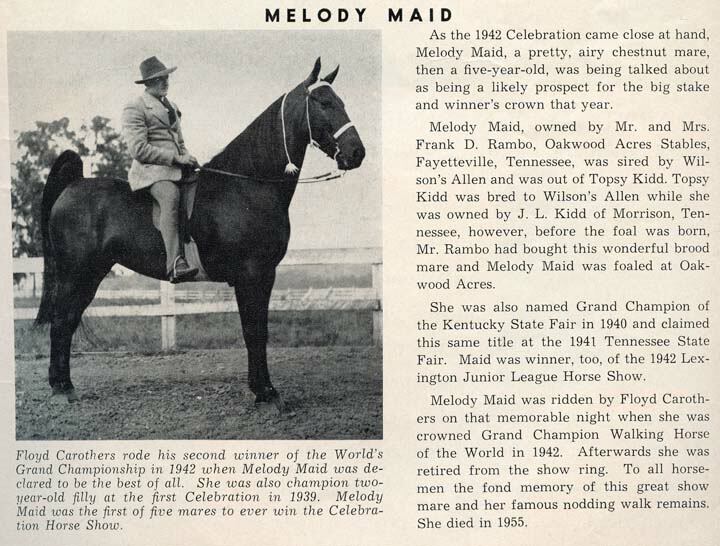 (sort of joking..) A mare with Merry Go Boy in all four corners of her papers. (not joking at all) A goodern! But seriously, I have always thought the Delight/Go Boy crosses were among the very best ever. Sun's Delight mares crossed well with Pride stallions. There were two still alive back last year. Rhythm Master and Delight the Blue were both breeding last spring I thought. Rhythm Master died last winter. Delight The Blue died just recently. He is the sire of the stallion near my house. If these were the last two then as far as I can tell I have the last grandaughter of Sun's Delight. 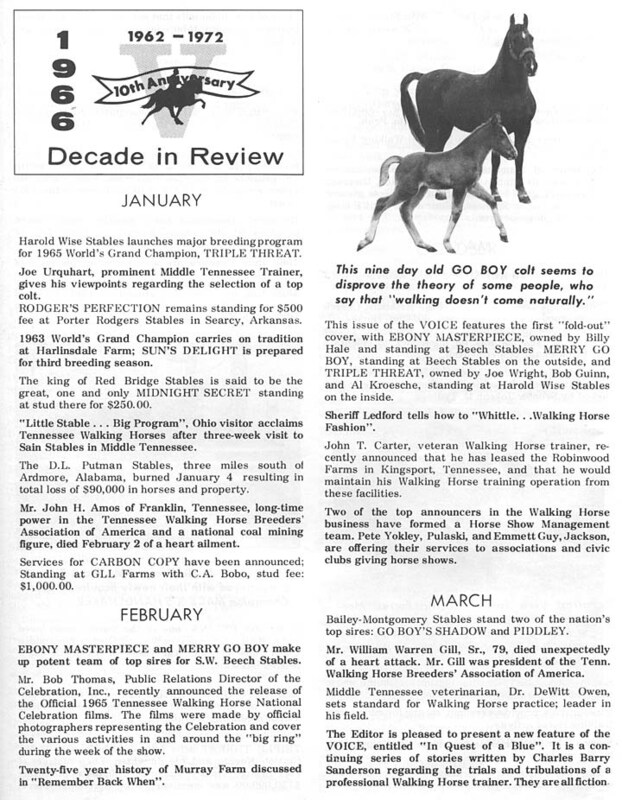 Ritz, what kind of mare is the stud colt near you out of? Best I can tell, she goes back to Shadow and Midnight Mack K. I forget what they said she was directly out of. Just wondering if this subject has been discussed before? 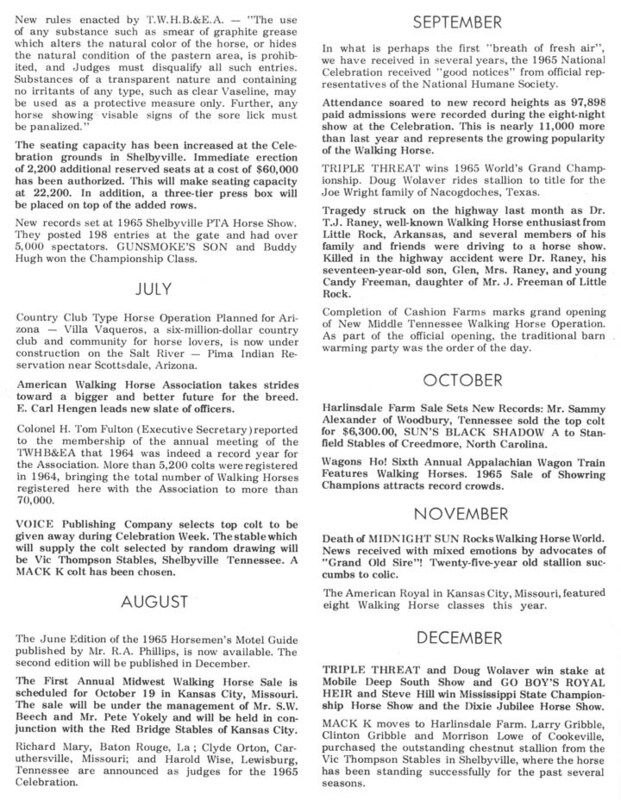 I would like to know where and when the past World Grand Champions pasted away and where they were buried. The subject has been discussed some, but not in very great detail. I think we had some photos of some grave markers of some of the past WGCs on here at one time. 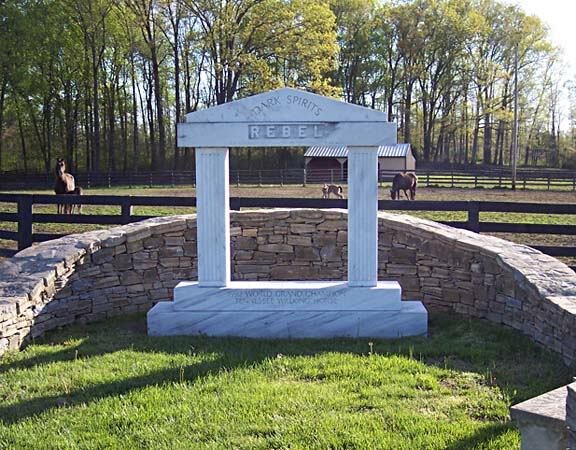 I believe Rebel's grave is at Allan Callaway Stables, if I'm not mistaken. Of course, several of the greats were buried at the Beech's I think. Can anyone expound on this? Rebel's grave is at Allan Callaway's and I believe RPM is buried there too. Sun's Jet Parade and perhaps Senator are buried in the center of the ring in front of Vic Thompson's old barn (now Jack Heffington's). 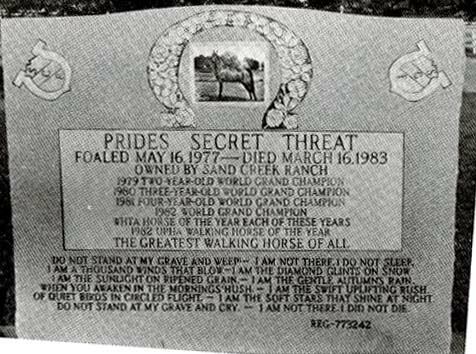 Pride's Secret Threat is buried at Sand Creek. I will have to think about some of the others. 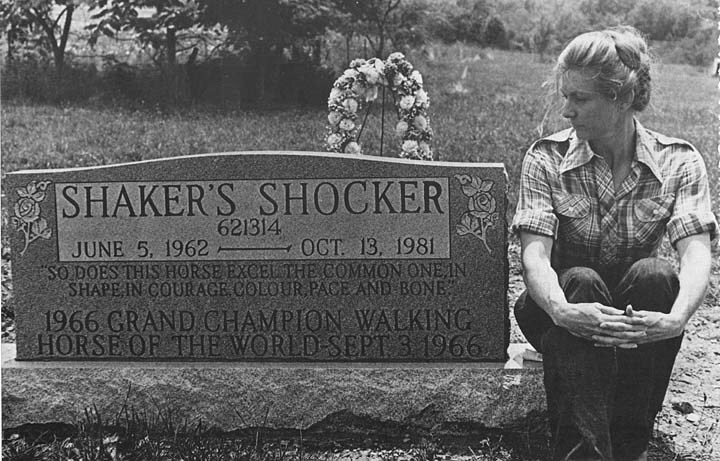 Isn't Shaker's Shocker buried at Betty's old farm in Bell Buckle? There was a nice discussion of this at some point, but cannot remember where. I thought it would be interesting to compile a list of WGC burial sites on a map...a trail of champions. Several were out of state. I do think there are some folks who would be interested in swinging by a memorial site when they are passing through an area, if the information was publicly available. 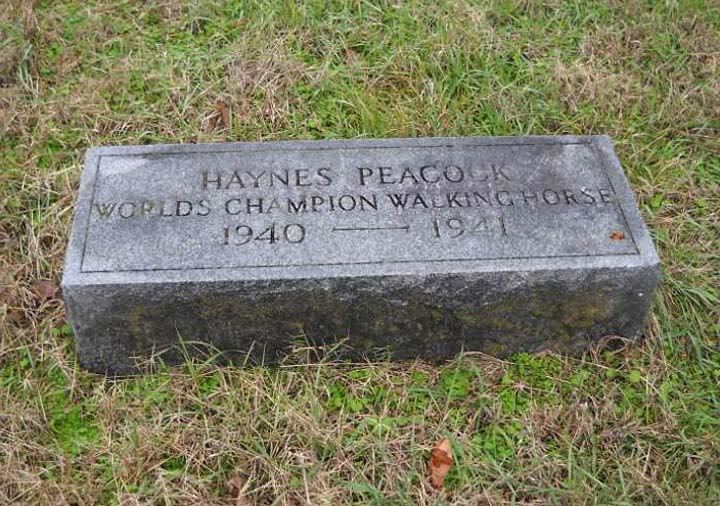 I can remember a discussion of a gravesite near Big Amie's farm...but I don't think that one was a WGC, more a celebrity type horse from years past. I've already forgotten the horse's name. Come on, Hill...you, Bubbadog and MIB can come up with the correct thread where this discussion took place on WHTrivia. Hill, didn't you say Hill's Perfection was buried at the Perot's home? champions final resting places are. MM-Congratulations on your showing at Tunica. Glad you had a good time. 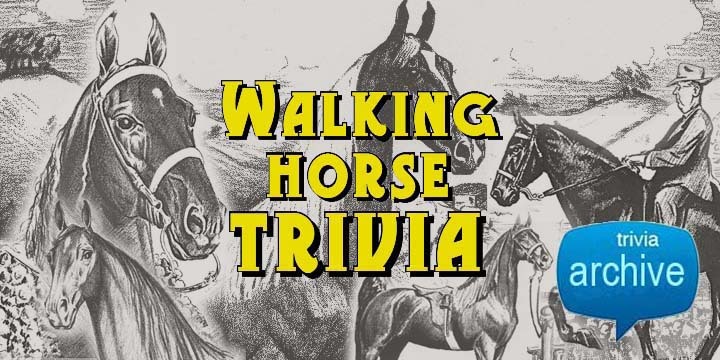 Many books are written about Walking Horses and Saddlebreds but once they are dead they just seem to be forgotten. 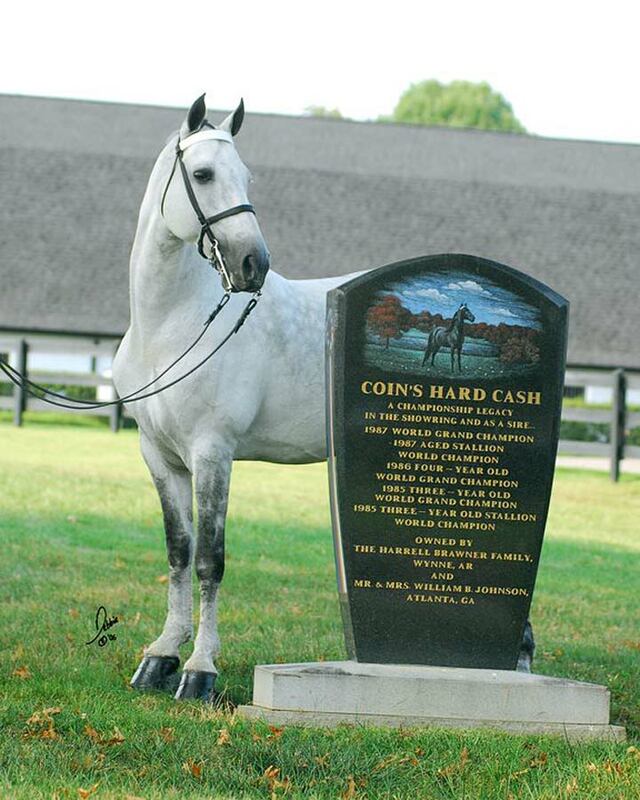 I was wondering about the Saddlebred Wing Commander one time and someone told me he was buried at Castleton Farm in Lexington, Kentucky but didn't think there was even a marker. 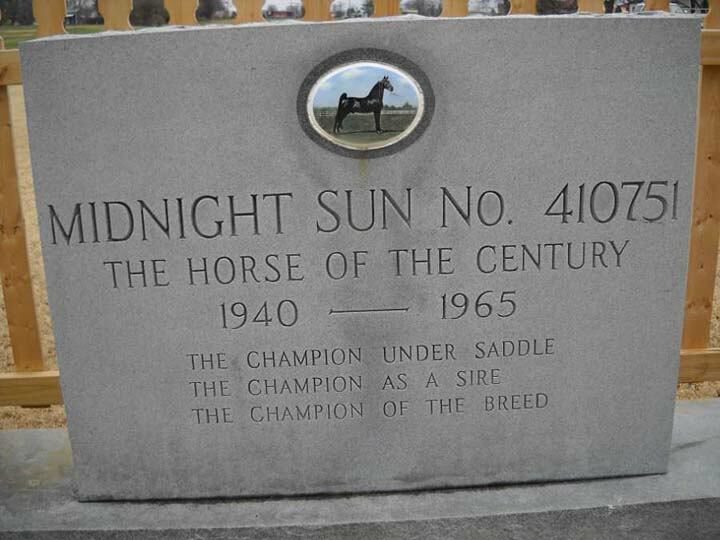 I just think that the younger generation someday would like to know what happened to some of the Greats of the breed. MM...I do remember reading that Hill's Perfection was buried on the Perot's property in Dallas but I don't remember a thread in particular where we discussed our Champion's resting place in the past. I think it came up when we were discussing Hill several months back. 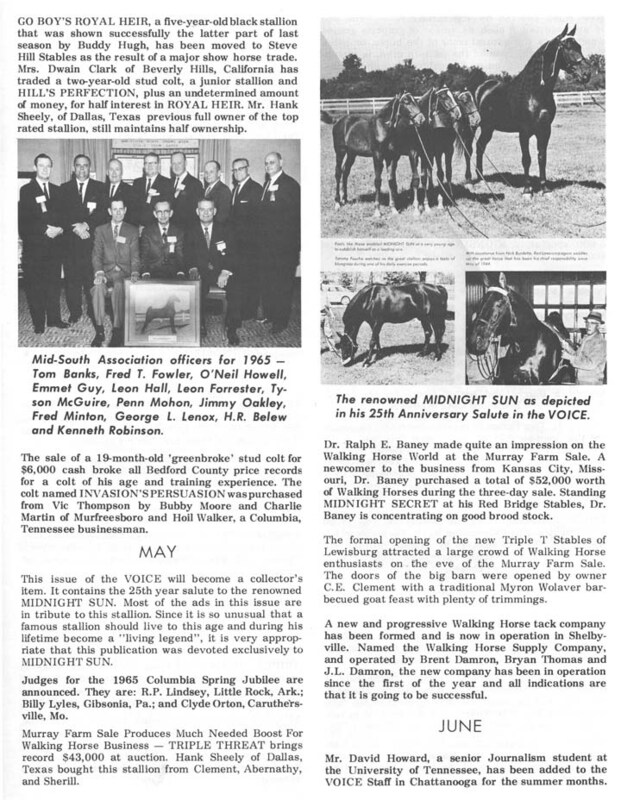 I agree that it would be nice to know where our Champions were buried though...you would think that the Breeder's Assoc would have a record of this. 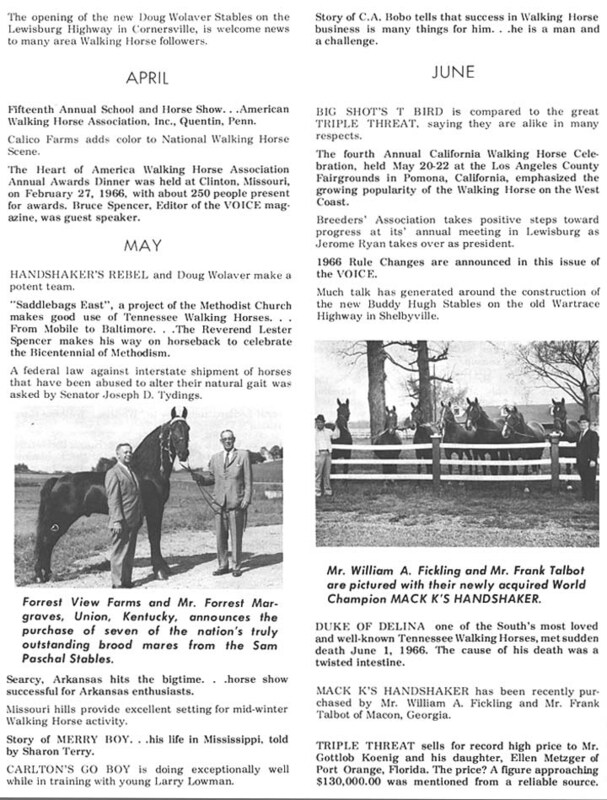 They got the info wrong on Handshaker & broodmares didnt they. Buried at the old Garnier Stables near Bastrop, Louisiana. Off the Corsett Highway. 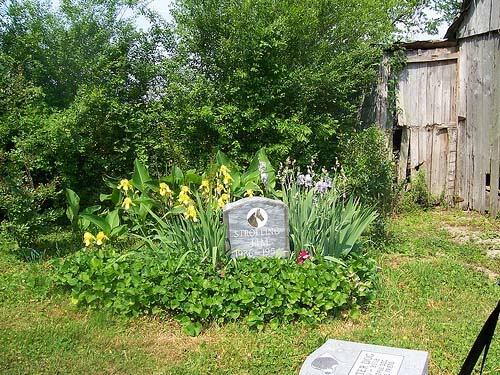 Buried at the former Russell Pate Stables in Savannah,TN. 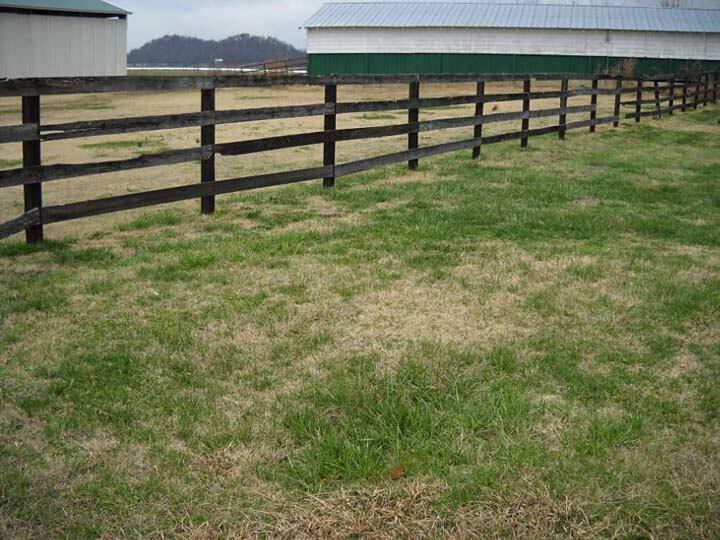 Buried on Dr. Barbara Moersch's "Rolling Hills Farm"